Mother and Family Dearest, I am so so sorry for not being able to reply to all your e-mails! 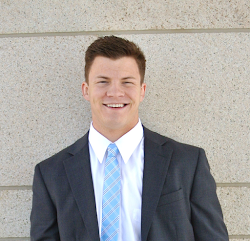 The MTC is tough and all my free time is studying the language and study the good word! I miss and love you everyone of you people! I miss you everyone but, not really. I haven't had time to think for myself at all!!!! It is wicked crazy in here and everyone is either studying or speaking broken Spanish. Wednesday, i said bye to my family then i went to the residence hall and then to the the classroom. I was first in there and so it was only me and the teacher! She didn't say one word of English the first day! So i probably missed a lot of rules and such so good and bad for me? I guess i don't know yet! My teachers name is Hermana Castillo she is so so awesome and a great teacher! I have been in here for four days and i can already teach the first lesson and bear my testimony and pray in espanol! She has said i think like fifteen words in english and thats it! I can't believe i can understand most of what she says. she talks really really fast. My companion is Elder Lambert! he is from Mackay, idaho, at least i think that is how it is spelled. So from what i hear his town is just like Murray except there are more cows then people, only early seminary, takes three minutes to drive through his whole town, and there were only 20 people in his whole cklas!!! it is nothing like Murray ! ahahha He is awesome though and i love him to death! He is a very humble spirit and we both compliment eachothers strengths and weaknesses. the only thing that bugs me about him is he will tell a joke or say a saying and he will be like...."well, that's what we say in Idaho anyways." Example: "These are called Funeral Potatoes where i am from... probably because Idaho is known for potatoes. ".......No Elder....stop....just stop. That was me thinking in my mind. i am too nice to say it out loud to him i just let him do his own thing. Who am i to correct him. Bless his heart :). Thursday!!!! Oh my Gosh Thursday!!!! Oh my gosh! So i am now going to San Pedro Sula EAST mission. Ans so the veirs (old mission Presidents will be leaving soon well actually today they are probably leaving! But anyways the new mission presidents were in las Vegas for a new mission president seminar before they got to depart for their new missions. Long story short our mission president came back to the mtc for the last day he was there and he was searching for our district because he wanted to meet us before he left, His flight left from SLC in three hours so he was panicing trying to find his first wave of missionaries I shook his hand first! Yay Me!!! ok sorry it wasn't a competition though. haha But he was super spiritual and super nice and very very blunt.... he said, "WE are going to kill it, yeah it is a very dangerous mission and yeah its hot and humid but we are going to kill it....You Elders are going to have to mature quick in the mission field since we are the first wave of missionaries we are going to have to become trainers, zone leaders, district leaders...etc. Because we are going to have to help the second wave." His name is President Klein! Friday!!!! Oh Friday !! ahahha i love everyday. i am trying to tone my excitement down for my mission and how great the mtc is but i can't! ahaha sorry! Buttttt, Friday mi y mi companero taught our first lesson in Spanish! all Spanish ...no English...allllllllll Spanish It was harrd very hard but the spirit was there we taught him how to pray asked him if he believed in God and asked him if he ever had prayed. It went really really well. We set up a appointment for the next day and challenged him to pray for himself. Saturday: The Falll!! hahhaa i was feeling good about my Spanish except our next lesson with Carlos....welll to be very very positive about it we brought him closer to Christ and the gospel! But other than that is was a huge fall backwards! we taught him way too many doctrines and me and my companions Spanish somehow got worse! It went really really bad....so bad that we forgot to pray at the end because we were so flustered!!! Our teacher gave a really good lesson about Alma 13:3! She started off by saying Why are you here? Are you being obedient because i want to become someone or am i obedient because i was told to do so? It really made me check myself and my priorities! The she talked about The scripture. She told us in pore mortal life we were almost perfecting talents and we were almost to the point where we had no where else to progress. She said that while on this earth we are trying to refine those talents that we already know! We are progressing and every once and a while we get a feeling that we have already know this talent and we know that it is important. 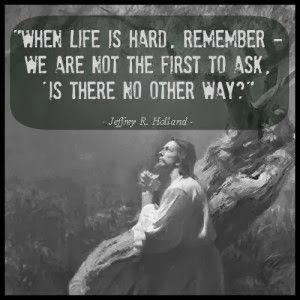 She said who knows how it went in heaven but it probably went like this: Heavenly father Called us up and said i have a calling for you and there will be a time that you need to answer this call. Then he brought us a family and said you aren't going to know the truth of me and the gospel till this person( pointing to me) comes and knocking on your door ans shares a message with you. i then probably looked at them and said something like, i promise i will live righteously to answer the call and i promise you i will find you...I promise!!!! so so powerful right? I got a notice for your package....too late for me to pick it up and then the mail office isn't open on Sunday...so i have to get it today sometime! Thank you so much though! Sunday: Was amazing filled with the spirit all day! I don't have time to tell you about it because i type slow and i am running out of time! But, i joined the choir which was awesome so awesome and the spirit was so strong i got a little choked up. We had meeting with the branch presidents and in my interview the scripture and spirit were filled so much with the love of Christ and so comforting i shed a few tearss.....don't make fun, it was just a few! Then we went to Hollands MTC devotional that was given last year and that was so powerful and such a strong testimony that i just laossed it...not holding back boogers out of my nose and all.... very awkward for the Hermanas to see that...who cares i felt something that i couldn't hide! Friends and family! I love the MTC I love the feeling i have everyday when i get up.....which is tired...but it means that i am working hard and the the day before i gave it all i could. i know why i am out here and i know why i live this gospel...not only to i believe in Christ i believe Christ. i believe the profetas. The MTC food is great and I love it here! I wouldn't want to be anywhere else! I am sorry for all the people that i can't write back...not like there is a lot but, i am sorry anyways! Tell everyone to sends lots of treats and candy! Thank the Oborns so so much and tell them i love them!!! !